This entry was posted in Faculty, Staff, Students and tagged student affairs on August 3, 2012 by Wire Eagle. AUBURN UNIVERSITY – Kimberly Frazier has been named the assistant vice president for student affairs at Auburn University. In her new role, Frazier will oversee Student Counseling Services, Campus Recreation, Health Promotion and Wellness Services and the Medical Clinic. With more than 20 years of higher education experience in academic and student affairs, Frazier has worked with residence life and student activities, specifically, in leadership, orientation, Greek life, student media and multicultural affairs. In her previous roles, she has collaborated with others in a range of programs including health promotion and wellness, student recreation, counseling, disability and community service and enrollment management. In addition to her experiences as an administrator and faculty member, Frazier serves as a national collegiate speaker for student success, presenting keynote addresses on topics of health and wellness, and students in transition. She is a strong advocate of students and student services and is active in professional organizations including the National Association of Student Personnel Administrators, Southern Association of College Student Affairs and the American College Personnel Association. 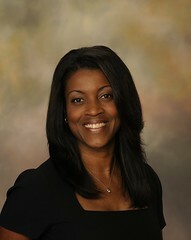 Prior to her arrival at Auburn University, Frazier served as an assistant professor of higher education and first year experience at Kennesaw State University. She earned a bachelor’s degree from Clemson University, a master’s degree from Winthrop University and a Ph.D. from Georgia State University.